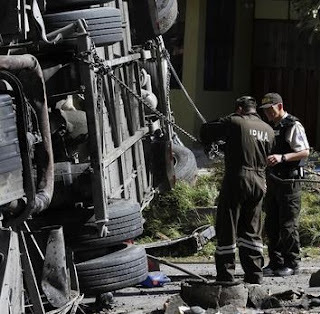 A bus that crashed in Ecuador that killed 24 people was carrying 80kg of cocaine hidden under false floors. Another 20 people were seriously injured when the bus, which was travelling from Colombia, crashed into another vehicle and tipped over. Police said the passengers had been used as a distraction. 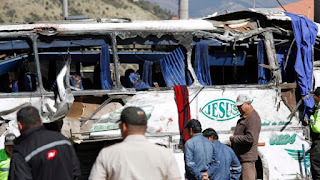 Relatives of the victims said they had been invited on the trip for free and that it was to go as far as Peru.